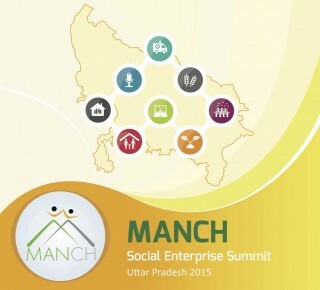 ‘Manch’ is a Social Enterprise summit to identify impactful social solutions. This annual event is organized by FifthEstate with support of the Government of Uttar Pradesh. The motivation behind ‘Manch’ is to create a platform to bring public, private and social sectors together. Through these partnerships, social solutions can receive monetary, non-monetary and leadership support in order to develop and scale. MANCH 2015 was held on 14th Nov 2015 at the residence of Chief Minister of Uttar Pradesh. It was chaired by honorable Chief Minister of UP, Shri. Akhilesh Yadav. Step 1: FifthEstate’s management committee will go through all the project applications and will shortlist projects that satisfy the high-level eligibility criteria. Step 2: The shortlisted projects will be categorized based on the sector they fall in and the summary and a report on each will be sent to the group of experts to vote on the individual projects. 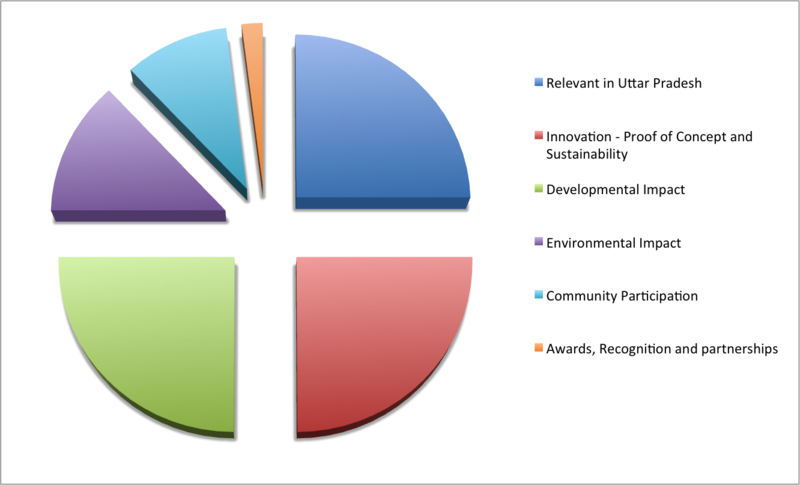 Based on the voting/rating final list of projects will be prepared. Step 3: This final list of project will be discussed with the Planning Department of Government of UP, and 7-10 projects will be selected in collaboration with the department. Akash Bansal is a co-founder of Zouk Ventures, a new enterprise that facilitates debt financing solutions for SMEs and social enterprises. 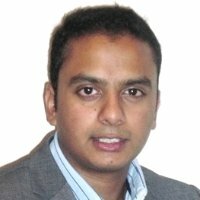 Akash has evaluated and advised several early stage enterprises on business development, fundraising, hiring and growth strategy over the last few years. 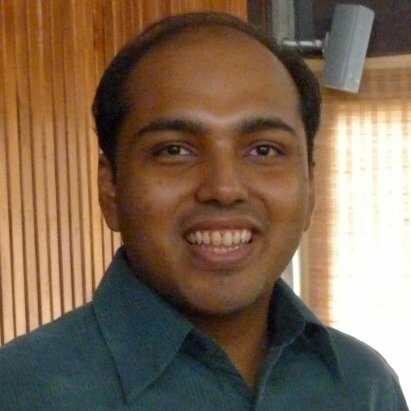 As a former manager for impact investments at IIM Ahmedabad\’s incubator CIIE, Akash designed and led Tech4Impact, India\’s largest accelerator program for social enterprises. He is an alumnus of IIM Ahmedabad and Duke University. Alexey co-founded a consultancy practice focusing on innovation strategy and transformation programmes, working with companies such as Shell, Philips, and Akzo Nobel, based out of Paris, France. In UK he co-founded a business that aimed to transform the public perception around renewable energy, from one of guilt and obligation, to one of reaping financial benefits via an innovative financing mechanism. This was recognised by NESTA as one of the top 20 key initiatives in the UK that will help to achieve the Government vision of the ‘Big Society’. Since January 2011, Alexei has been working as a Catalyst at Kanthari International and has been a driving force in developing the Innovation Experience. Alexei also co-founded EnGen ltd which is engaged in the rollout of renewable technologies and related consultancy whose profits are gifted back to iX. Alieu is the CEO and Founder of GoGetters, based in the UK with a deep passion for Africa; especially the new and exciting technology focused start-ups developing in the continent. GoGetters is a social initiative and with a mission to be the bridge between Westerners (especially Africans from diaspora) and the business opportunities within sub-Saharan Africa. Before GoGetters, Alieu was the CFO with Bukit in New York. BUKIT is disrupting debt collection by creating an online platform where people can bypass collection agencies to make a settlement offer directly to their creditors. He also works as a Management Consultant with PwC in London. 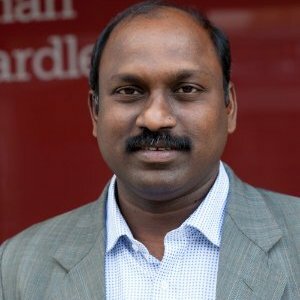 In close to 20 years in the development sector, Anand’s career has encompassed strategic planning, programme leadership and partnership management, advocacy and lobbying and impact assessment. As head of Christian Aid India he oversaw over 75 civil society partnerships across 15 Indian states on projects with an investment of £3 million. 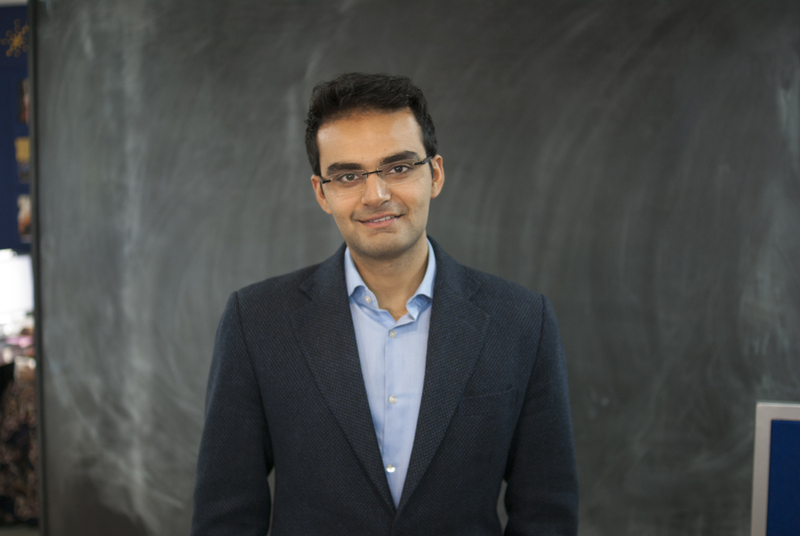 Anand has worked with bilateral aid institutions and institutional funders on humanitarian and emergency response projects, pro-poor market and enterprise-based development initiatives and promoting human rights. He is actively engaged with the private sector in promoting inclusive policies and investment. 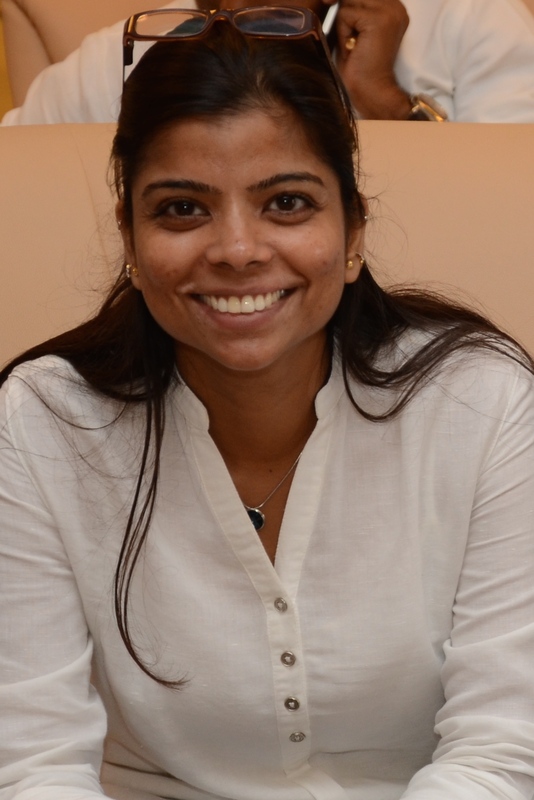 As the Director of Sankalp Forum, Aparajita is focused on building the Forum as the leading convener of dialogue and outcomes for inclusive development globally. Sankalp’s Global Summit in India and regional Summit in Africa are both convening that see participation of over a thousand practitioners and leaders on market-led development, impact investing, social entrepreneurship and South-South collaboration. From 2004 until 2012, she led Intellecap\’s Knowledge / Research practice. 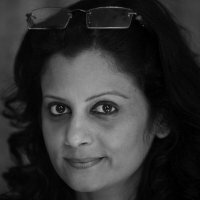 Aparajita has over 14 years of relevant experience in the development sector on initiatives to further financial inclusion, social entrepreneurship and impact investing. She is often a facilitator / speaker on social entrepreneurship and impact investing at Indian and Global events. Her work has been featured through media coverage in CNBC Young Turks, Hindu Business Line, Financial Chronicle and Outlook Business. Prior to Intellecap, she worked at CARE India on initiatives around microfinance and livelihoods in the underserved states in India. She holds a management degree from the Indian Institute of Forest Management (IIFM), India. 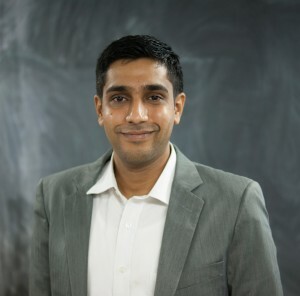 Aravind Prasad manages advocacy initiatives for Central Square Foundation in addition to research and investment for the High Quality Affordable Schools vertical. 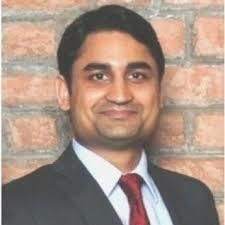 Aravind graduated with a Bachelors of Science degree in Electrical Engineering from Purdue University, USA. 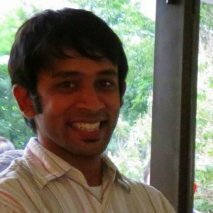 Previously, Aravind was a 2012 Teach For India Fellow, and worked as an elementary class teacher in a corporation school in Chennai. He has also worked as a Design and Development Engineer with Lutron Electronics, leading the development of lighting control products for the residential and commercial divisions. Barry is a Senior Lecturer in the Department of Marketing, Innovation, Leisure and Enterprise at University of Wolverhampton Business School. His teaching and research interests revolve around Enterprise, Entrepreneurship, Creativity, Innovation and Strategic Management. He ha also worked with Development Sector organizaitons. He also is involved in third sector engagement, links with charities and social enterprises, research on how Third Sector organisations can meet the challenges they face in their current operating environment. As part of his module Entrepreneurial Creativity and Innovation, he works with charity partners challenging his students to conceive and deliver creative fundraising activities. Dev Tayde is an Executive Director at Indicorps, a nonprofit organization dedicated to fostering a new generation of global leaders. Indicrops runs a Fellowship program similar to that of Ashoka’s, where highly motivated individuals of Indian heritage are given the opportunity to work for community-based organizations across India. Prior to his work with Indicorps, Dev assisted in co-founding Down To Earth and Jagruti, non-profit organizations which engaged with children and youth from humble backgrounds and rural development respectively. He also gained field experience working with both Shelter Associates (founded by Ashoka Fellow Pratima Joshi) and the Akansha Foundation (founded by Ashoka Fellow Shaheen Mistri). Dev brings to the panel a unique and varied array of experiences having worked on projects ranging from low cost housing and sanitation to governance and community development. Divyang manages research and investments in the area of entrepreneur development and capacity building at Central Square Foundation. Prior to joining CSF, Divyang worked as an analyst at JP Morgan Chase in New York City where he worked on various strategy projects across multiple divisions within the bank. Before that, he worked as Consultant for Booz and Co. in their New York City office on projects spanning multiple industries including Financial Services, Communications, Media and Technology (CMT) and Healthcare. Dr Mohan is an eminent Economist and besides being Professor of Economics at University of Lucknow he has worked as a Consultant with World Bank, Adjunct Faculty IIM Lucknow, and Faculty for the Flagship Program of University of Texas. He also has the experience of working with UNDP, UNICEF, USAID and other national and international agencies. 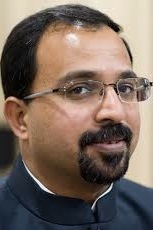 He has been Member of the State Taxes Board, GoUP; Member of Infrastructure Committee of GoUP; Member Technical Advisory Group NABARD; member policy committees of State Planning Commission; policy committee of Ministry of Medical Health and Family Welfare GoUP; and has worked closely with Udyog Bandhu and Department of Institutional Finance GoUP. Dr. Bobby works with Indian and other national governments, international agencies and civil society organisations on issues related to governance, finance, development and foreign policy to improve health in India. He has served as a member on the developing country NGO board delegation of the Global Fund to Fight AIDS, TB and Malaria, between 2006 -10, and also as the Chair of its Ethics Committee. He has served as the Advocacy and Public Affairs lead for the India office of the Bill & Melinda Gates Foundation between 2010 – 11. As an advisor and member of governing boards and technical working groups, he has served George Soros’ Open Society Institute, the Population Foundation of India, MD India Pvt. Ltd, Saahasee, the Emmanuel Hospital Association, and the Governments of India, South Africa, Sri Lanka and Indonesia. More than 25 years of cumulative experience in policy, planning, programming and technical leadership focusing on women and girls at global, regional, national and sub-national levels including with public sector, bilateral donor programmes and the United Nations. Currently serving with the United Nations International Civil Service (ICS) as Chief at UNFPA’s Programme Division in New York at Director-1 level. Track record of substantive contributions to policy and programming at various international positions including as Strategic Planning Adviser at global level and as Regional Adviser for South and West Asia. Before joining the UN, worked as Project Coordinator at the Innovations in Family Planning Services Programme – a $300-million USAID supported initiative. 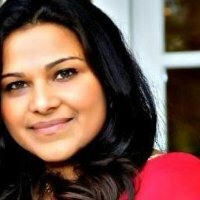 Dr Shirin Madon is a Senior Lecturer in the Information Systems & Innovation Group, Department of Management at the LSE. She teaches an interdisciplinary Masters unit entitled IT & Development attended by students from various MSc degrees across the School. Building on an earlier interest in the role of ICTs for development planning and administration, her more recent research focuses on e-governance projects that are specifically designed to improve the living conditions of rural communities in the developing world in sectors such as health, agriculture and rural development. She currently undertakes research in this area in three states in India. 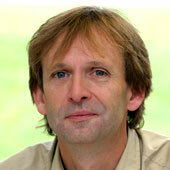 Dr. Smithson is a Senior Lecturer in the Information Systems & Innovation Group, Department of Management at the LSE. 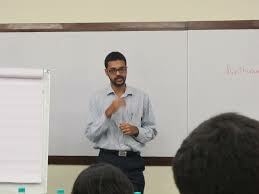 He teaches Global strategy and Management of IS and management and economics of E-Businesses. 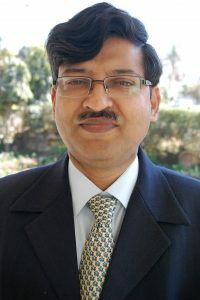 His research areas include Electronic commerce and inter-organisational information systems, Knowledge intensive organisations & emergent forms of organisation, The evaluation of information systems and Organisational problems of introducing computer based systems. 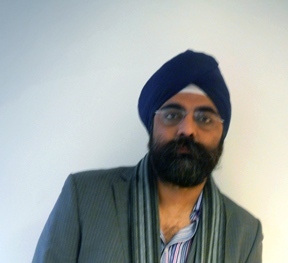 Dr. Sudhanshu is a Team Leader with Euro-India ICT R&D Project at Copenhagen business school. He works with New Institution theory, ICT R&D, IT, culture and innovation. He is a member of the faculty at the Department of Informatics and is the project manager of a EU funded project on Mapping the ICT, Research and Development competency of India. Prior to his academic career Dr. Sudhanshu has worked in the IT industry as director of system design at trust4health a health insurance company. He has also served the government of Sikkim, in India as their economic advisor and was responsible for IT diffusion and strategy across the state. Emrys is a strategy specialist in communications and mobile technology with substantial experience in research, policy and practice. Emrys has advised national governments, international and multilateral organisations and NGOs on the use of media, communications and public engagement to address governance, conflict, and public policy issues in the health, education, justice and legal sectors. He is the co-founder of iMedia Associates and the Director of Innovation and Technology. He has worked with UK government departments, national and international donor agencies and NGOs. Indy is an architect, and institutional innovator. He co-founded multiple social ventures from HubWestminster.net to the upcoming HubLaunchpad.net [A £4m Open Venture Accelerator] and has also co-led research projects such as The Compendium for the Civic Economy, whilst supporting several explorations/experiments including the wikihouse.cc, opendesk.cc. Indy was Director of the Impact Hub Association and Impact Hub Islington, UK and is a Director of DataScienceLondon and an Advisor to the Earth Security Initiative. He is currently working with Young Foundation, co-founding a new Applied Research, Design and Prototyping Centre focused on the development of new 21st Institutions and information architectures. John is Sustainable Development Policy Coordinator of the European Commission, Digital Media and Technologies. Currently he is working on mainstreaming Sustainable Development in the Information Society Directorate General with special emphasis on Business Partnerships to address Energy and Climate Security. In his previous work, he focused on planning aspects of the 7th Community Framework Programme of Research and Technology Development for the International Cooperation. He is a licensed professional engineer and has been working for the European Commission since 1996. Jyotsana is the Chairperson of FLO – which is the Women Wing of Federation of Indian Chambers of Commerce and Industry. She also sits on the Management Committee of Cheshire Home India, International department of Leonard Cheshire Disability and its partners straddles 54 countries in the world. Through six regional offices their development work takes place in Africa, Asia, Latin America and the Caribbean. Today, Cheshire services function in Bangladesh, India, Pakistan and Sri Lanka – a region that houses more than 68 million people with disabilities.The South Asia Regional Office (SARO) partners 36 organisations that are managed by local committees, across the region. Through this network, SARO reaches out to 20,600 people with disabilities.SARO’s work is multi pronged and aims at holistic transformation both at the personal and institutional levels. 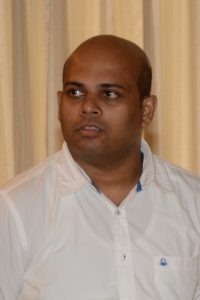 Lakshman Sethuraman, an engineer-MBA, belongs to the Tata Administrative Services and has been working with the Tata Group for ten years across diverse roles such as coordinator of the Tata Medical Center Project, and programme manager at Tata Institute of Social Sciences and Tata Trusts. Mahesh is currently working as Principal of Innovation and Engagement at National Skill Development Corporation, where he works on innovation in the skills space, business revitalization, CSR and collaborative engagement models. Before NSDC Mahesh was the Chief Executive Officier at KGVK, where he was responsible to ensure KGVK Social Enterprises was operating on strategy and in line with the Board’s directives in each of the entities with investments from Jhawar Impact Venture Fund. Innovative and dynamic program manager with over 10 years experience designing and implementing large scale technology and non-technology projects in Kenya and around Africa in development sector. 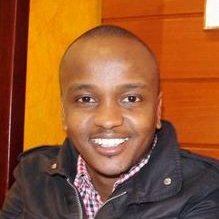 Martin is a graduate from London School of Economics and is currently supporting the governments and learning institutions to leverage and institutionalize technology for the development of human resources for health and advance the eLearning ecosystem in Kenya. Paul Calvert has more than fifteen years’ experience in gender aware and culturally sensitive community development work in Asia and East Africa. He has experience as a project officer and programme manager on projects ranging from small-scale sugar processing to fisheries, boat building and artificial reef construction. He has work experience in East Africa, India, Bangladesh, Sri Lanka and Vietnam. He recently led an FAO project in Andhra Pradesh on Sea Safety and Cyclone Disaster Preparedness and has also undertaken work for UNDP and the SANRES programme of SIDA. 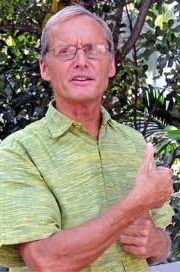 He currently spends much of his time in India and the South demonstrating and promoting the ecological sanitation approach among communities, government and non-government organisations. Paul Kronenberg is a “Social-Engineer” and co-founder of Braille Without Borders (BWB) and kanthari, International Institute for Social Entrepreneurs and Innovators. He has worked for various organizations in development projects in Africa, Eastern Europe and Tibet. Paul is the driving force behind the low cost and eco friendly designs of the buildings and supervises all construction activities within the projects. 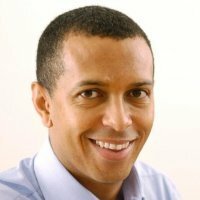 Paul is a Partner with PwC UK and sits on the management committee of PwC Africa as well as continuing to run the Africa Business Group in London. He has extensive experience of international development projects with DFID as a client and led PwC’s Government & Public Sector practice with a personal focus on strategy for public sector organisations. 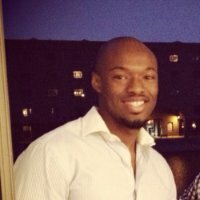 Paul is an MBA from London Business School and have a number of board level non-executive positions including the UK Government\\\’s Social Mobility & Child Poverty Commission, the Advisory Group of the think tank Demos and the Advisory Board of Race for Opportunity, which promotes racial equality in business. As Associate Director, Priyank is directly responsible for the expansion of Sankalp Forum and its ecosystem into South East Asia. He is also involved in various initiatives to further develop the Forum as a leading inclusive development-convening platform across the 3 regions: India, Africa and South East Asia. Priyank comes with around 11 years of diverse experience in leading B2B marketing initiatives, market entry consulting projects, and strategy & business development engagements. Prior to joining Intellecap, he was managing corporate marketing for South and West India at the country’s 4th largest private sector bank, YES BANK. Previously, he worked at KPMG across marketing, business development and M&A Tax consulting roles in India, and established the India-Korea Consulting Practice at KPMG in South Korea to promote cross border investments. Priyank holds a postgraduate diploma from the Indian Institute of Management Ahmedabad (IIMA), India and a bachelor’s degree in commerce from Christ College, Bangalore, India. Professor Sudhir is Member of Planning Commission, Uttar Pradesh and Professor at Lucknow University. He is an active researcher in the field of ‘environmental genotoxicity’ and has been selected for the prestigious ‘Research Award’ fellowship in 2014 by the University Grants Commission, New Delhi. Besides academics he is also involved in grass root movements of farmers as President ‘Kisan Jagriti Manch’ (KJM) and has represented farmers in various Government organizations. He has been invited in Farm Progress Show in U.S.A as representative from India and other countries. 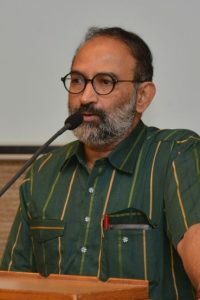 His views on farm policy and rural development issues are quoted in reputed national and international media. Professor Barkema, is a professor of Open Innovation and Innovation at bottom of the Pyramid (BOP) at London School of Economics . He is also the founding Director of the Innovation Co-Creation Lab&nbsp;(ICCL) that works on fundamental research and teaching (MSc, PhD, Executive education) on how to design innovative teams, innovation communities around websites, innovative science parks &amp; corporate campuses, and successful business model innovation in close cooperation with companies. He also heads a new initiative focussing on business model innovation at the bottom of the pyramid (BOP), in cooperation with multinational corporations, NGOs, and local businesses in South East Asia, Sub-Saharan Africa, and South America. 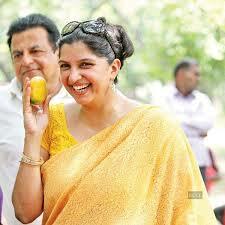 Puja is consultant to UP’s first Commission for the Protection of Child Rights. 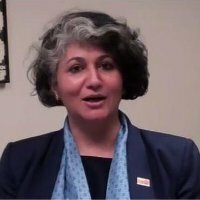 She has worked with and evaluated programs and schemes in development sector with organizations like Sir Dorabji Tata Trust, Oxfam, Find Your Feet, UNDP-IKEA, UNICEF and the like and has also worked extensively with the state Governments in India, especially in Uttar Pradesh and Uttarakhand . She has worked on mid-term review of the European Union supported project on “Strengthening the capacity of tribal organisations to influence policy and ensure implementation of rights-based legislation”, Uttarakhand. Roshika has experience working with public and private sectors to promote financial inclusion in underserved communities. Roshika has also been credited with spearheading the effort at USAID to mainstream gender into ICT project portfolio. She currently works with the International Finance Corporation (IFC) in the Access to Finance Advisory Services team. Her speaking engagements include the G8 Business Action for Africa Summit, the 5th African Venture Capital Conference in Kenya, the World Bank’s Gender and Digital Divide series, the Women’s World Summit in Hong Kong and the Indian SME Forum. Roshika is an author of a chapter in a DFID-sponsored book “Small Customers, Big Market”. She holds a BA from the American University and an MSc from the London School of Economics. Sanjeev has significant experience of working at the grassroots and has implemented large-scale development projects in India, Afghanistan and Nepal. 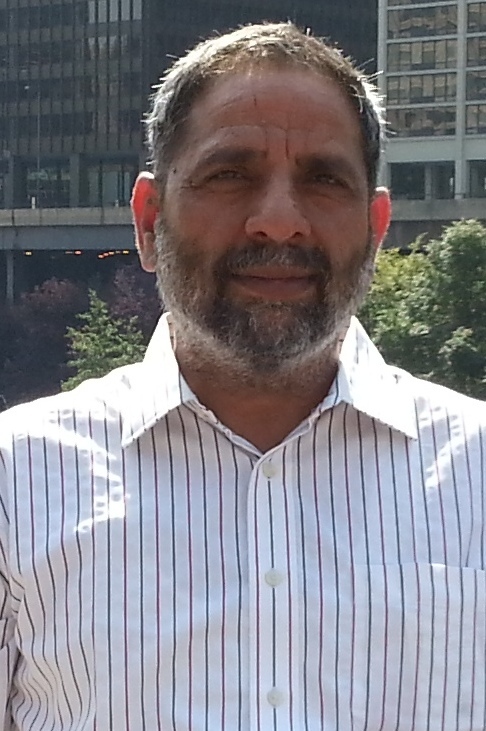 Sanjeev worked with Aga Khan Foundation in Afghanistan for about five years and led large scale (500 villages, 500 staff and about 10 million USD annual budget), multi sectoral development projects in conflict prone central and Northern Afghanistan in challenging conditions and remote areas. Sanjeev also worked with IFAD, Fair trade Original (Netherlands), ICCO-Netherlands, OXFAM-Bridge, Central Tibetan Administration (CTA), Small Farmers Agriculture Consortium (SFAC) under the ministry of Agriculture, India-Canada Environment Facility (ICEF), Project LARGE (UNDP), Center of Development studies (CDS) – University of Wales, ASA (Action for Social Advancement), ACP (Association of Crafts Producers), Sasakawa Peace Foundation, ARAVALI, Atkins UK (on a DFID project) as a consultant and researcher on diverse livelihoods and development issues. With over 28 years of expertise in Mechanical Sealing Solution Industry, Quality Assurance, Ecosystem Development, ICT and Green Energy, Sauman Das Gupta brings along with him passion and drive to work for the betterment of human society. His specialities lies in Sealing Solutions, Sustainable Micro and macro community development, Zero emission Scale ups, Business and Education Integration, Quality Assurance, Renewable Energy project design and implementation. Sauman has extensive experience in the Asia Pacific and Australasia region. 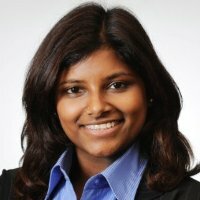 Priya is a Harvard Graduate, where she studied Public Administration, and has worked with companies like KPMG, Thomson Reuters and Accenture. She has worked as a Lead Business Analyst and Executive Product Owner with House of Commons in UK and Delivery Manager with Government Digital Service in UK. She is Director of Analytical i and is currently working as Digital Business Analyst with Greater London Authority. She has worked on multiple projects with the Government of United Kingdom and has a good understanding of Policy Infrastructure and Development Sector. 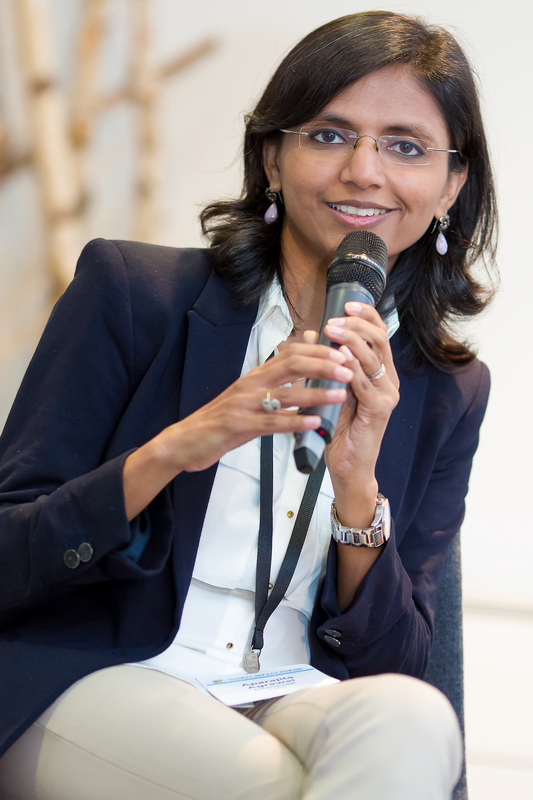 Sohasini is a Management Consultant with PwC in London and has experience of working in the International Development sector and Clean Energy with PwC. She manages the Programe – Girls Education Challenge (GEC), DFID’s flagship programme that help millions of marginalised girls improve their life chances through education. She has experience of programmes in Kenya, Ethiopia, DRC and Rwanda. in East Africa region as well as the DRC. 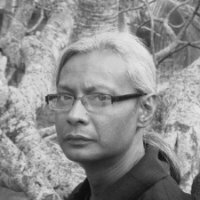 Venkitesh is the Associate Editor of Frontline, a leading fortnightly published by The Hindu group of publications. He is a renowned political journalist and has covered National Affairs extensively throughout the country. He has been heavily involved in activities regarding Development issues with special focus on empowerment of the socially and economically marginalized sections of the society. He’s also involved in reporting on broader socio-anthropological trends and other sociology related subjects with an emphasis on environment, health and tribal life.